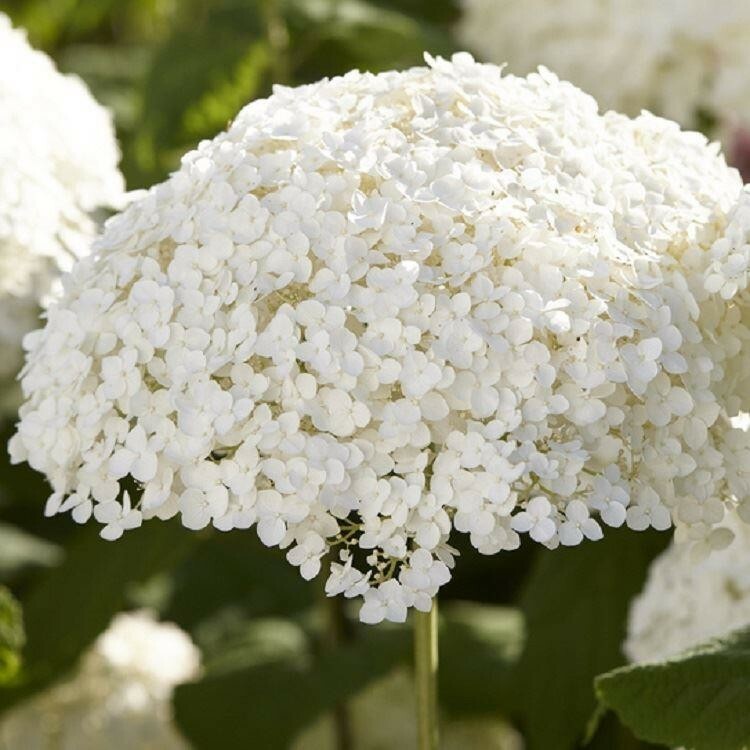 This is a brand new variety of Annabelle type Hydrangea from the USA, that boasts giant flowers on very strong stems. The flower heads, probably the largest hydrangea flowers in the world are up to 30cm across! The hardy, easy-to-grow, deciduous shrubs produce strong, sturdy stems which support giant, football-sized blooms - hence the name 'Incrediball'. These extra stong plants are tolerant of all the wind and rain that a British summer can throw at them, which is also very handy. The amazing flowers open lime green, gradually turn to pure white and then fade back to shades of green as they mature. If you like flowers for the house, then these will make astonishing cut flowers too! 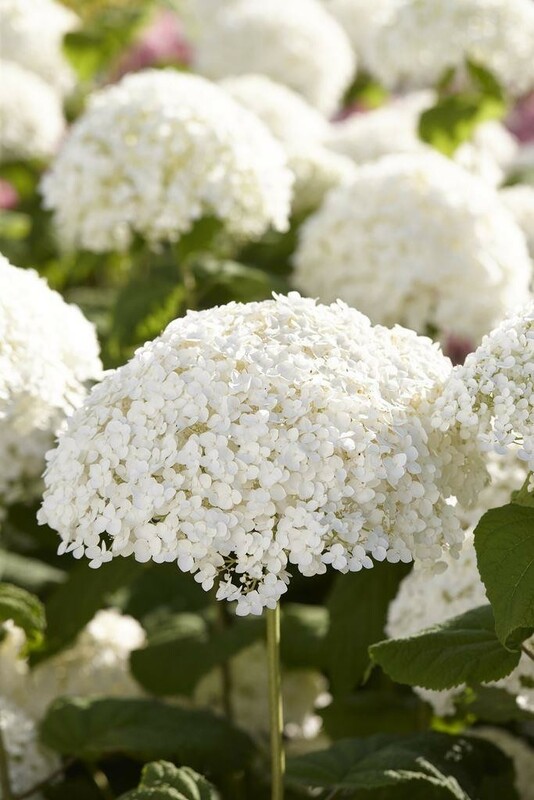 Unlike many Hydrangeas, Incrediball will also carry blooms one fresh season growth, made the same year, so you can be enjoying lots of blooms sooner than you think. Flowers all summer from July-September, and reaches a height of around 100-120cms. Supplied in approx 3 litre containers.